Say goodbye to ungoverned regulated content spread in SharePoint sites and SQL databases by offloading SharePoint content and copying relevant business metadata in SEAL, running on the highly flexible and compliant archive storage environment of Microsoft Azure, as part of an unified information governance and records management strategy. Now you have at your fingertips a seamless way to move from ungoverned regulated content spread in SharePoint sites / SQL databases to a unified repository and get the entire dataset managed as part of the unified information governance strategy. 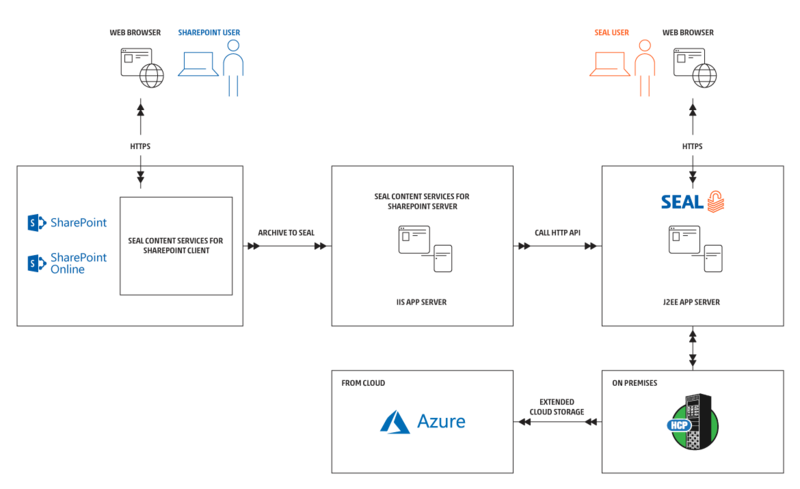 Azure Content Offloading for SharePoint brings together strong metadata management, advanced compliance and records management functionalities delivered by SEAL and the power of Azure for global coverage for a new level of SharePoint productivity.